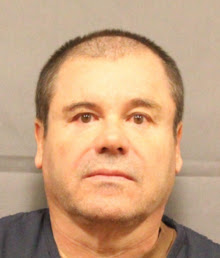 Drug lord Joaquín “El Chapo” Guzmán will likely spend the rest of his life in prison. Guzmán famously escaped twice from the maximum security prisons where he was held by Mexican authorities. He won't be escaping from USP Florence ADMAX, a “supermax” penitentiary in Arizona. He will be searched, shackled, and escorted by multiple officers every time he enters and leaves his living space. That living space is 7 feet by 12 feet. He will be confined 23 hours per day. Everything is about control. A single window about 42 inches high and 4 inches wide allows some natural light but is made so prisoners cannot see beyond the building. Cells have unmovable stools and desks made of concrete. 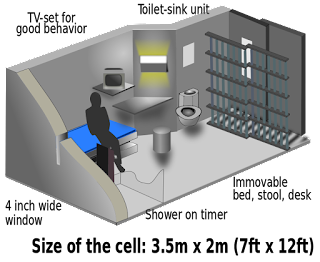 Solid walls prevent prisoners from seeing other cells or having direct contact with other inmates. A recreation hour is allowed in an outdoor cage only slightly larger than the prison cell. Inside the cage, only the sky is visible. Guzmán will likely be assigned to the Special Security Unit, also called the H-Unit. 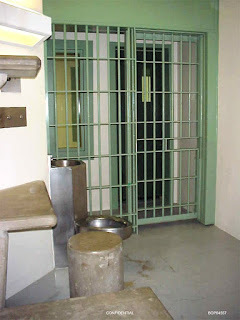 These cells are reserved for inmates with DOJ-imposed Special Administrative Measures intended to strictly limit all communications with the outside world. "As soon as they come through the door ... you see it in their faces," former ADX warden Robert Hood said. 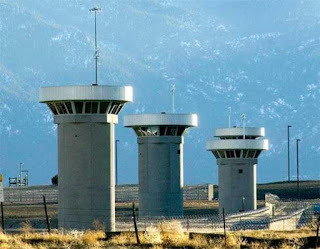 "The Supermax is life after death, it's long term, it's worse than death."